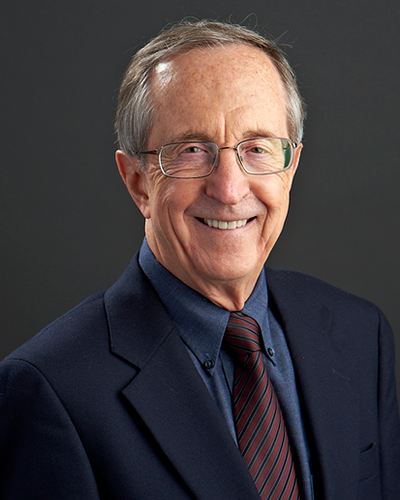 Dr. Paul E. Resta holds the Ruth Knight Millikan Centennial Professorship in Learning Technology. He teaches advanced graduate courses in learning technology, instructional systems design, online learning, technology planning, and computer-supported collaborative learning. His current work focuses on Web-based learning environments, computer-supported collaborative learning, and national planning and policy issues in the use of information and communication technologies in teacher education. Dr. Resta is the Founding President of the International Society for Technology in Education, the world's largest educational technology organization, and also served as President of the International Council for Computers in Education. Dr. Resta currently serves as the President of the International Jury for the United Nations Education, Scientific and Cultural Organization (UNESCO) King Hamad Bin Isa Al-Khalifa Prize for the Use of Information and Communication Technologies in Education and was recently honored by the UNESCO Director-General for his leadership at the award ceremony in Paris. Recent professional activities include: General and Local Chair of the 2016 International Conference on Advanced Learning Technologies; Co-Founder and Chair of National Collaborative for Digital Equity; Principal Investigator of the Presidential Timeline project funded by the U.S. National Archives; Principal Investigator of Agent-Based Simulation Environment for Math Success in Secondary Education; Organizer and Chair of the First Invitational Summit on Educational Data Visualization, May, 2014; Conference Chair of the Society for Information Technology in Teacher Education 2012 Annual Conference; Organizer and Chair of the Invitational Summit on Redefining Teacher Education for Digital Age Learners; Chairman, Board of Directors, National Laboratory for Educational Transformation; Chair, Association of Teacher Educators National Commission on Technology and the Future of Teacher Education; Senior Advisor to World Federation of Associations of Teacher Education; and Chair, UNESCO Working Group on E-Learning for Teacher Development. He also has served on a number of national and international advisory boards including Microsoft Corporation's Partners in Learning program, Blackboard Corporation's National Advisory Council, and as a member of the board of the International Laboratory of Advanced Educational Technologies. Dr. Resta is the recipient of numerous awards including: the World Federation of Colleges of Teacher Education (WFATE) 2016 Global Contributions to Teacher Education Award; Award presented by Madame Irina Bokova, Director General of UNESCO, for Dr. Resta's leadership as President of the International Jury for the UNESCO Prize for ICT in Education; the 2014 Canterbury Fellowship, awarded by the University of Canterbury in New Zealand; an Honorary Doctor of Letters from the Moscow State University for Economics, Statistics, and Informatics for global leadership in educational technology; the Society for Information Technology and Teacher Education Lifetime Achievement Award for Outstanding Contributions to the Field of Technology Use in Teacher Education; the U.S. Distance Learning Association Award for Outstanding Teaching in Higher Education; the U.S. Continuing Education Association National Distance Learning Course Award; the U.S. Department of Education National Institute of Education Outstanding Leadership Award; the Navajo Nation Chief Manuelito Award for Outstanding Contributions to Indian Education; and the University of Texas at Austin College of Education Distinguished Faculty Award. In addition, the Texas State Senate awarded Dr. Resta the Texas flag flown over the Capitol Building for outstanding leadership in technology in education within the state. Recent books and chapters include: Section Editor and chapter, Issues and Challenges Related to Digital Equity in Voogt, J., and Knezek, G. International Handbook of Information Technology in Primary and Secondary Education; Teacher Development in an E-Learning Age; (Editor). Paris, France. UNESCO (In Press). Digital Equity and Intercultural Education, with T. Laferriere, Journal of Education and Information Technology (2016); Challenges and Strategies in Designing Cross-National: Learning Team Projects in Virtual Worlds, with M. Shonfeld. Chapter in: Gregory, M., Lee, M., Dalgarno, B., & Tynan, B. (Eds.) Virtual Worlds in Online and Distance Education, Athabasca, Canada. Athabasca University Press; The Structure and Characteristics of PhDChat, an Emergent Online Social Network, Journal of Interactive Media in Education, 2014; An Ecological Approach to Instructional Design: The Learning Synergy of Interaction and Context, with D. Kalk. Chapter in Olofsson, A. & Lindberg, J. (Eds. ), Informed Design of Educational Technologies in Higher Education: Enhanced Learning and Teaching. Hershey, Pennsylvania: IGI Global Publishers. Resta, P (2014) ICTs and Indigenous People. Moscow, Russia. UNESCO Institute for Information Technologies in Education.